© 2013 by Dana Smith; all rights reserved; content may not be copied, rewritten, or republished without written permission. 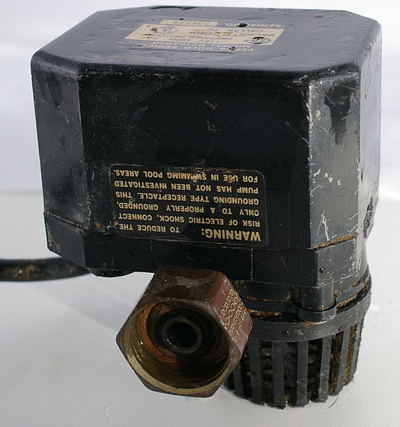 Sump pumps are devices which are installed in homes and buildings that are prone to flooding. They are usually installed in the low-lying areas of homes to eliminate the risk of flooding. In most cases, this means the basement. Although these pumps are tensile and durable, there may be a malfunction occasionally. It is quite easy to replace or repair these pumps with the right type of tools and information. There are basically two types of pumps which are installed in the sump pits. The submersible pumps and the pedestal pumps are the two common types of pumps which are commonly used. Compared to the submersible sump pump, the pedestal pumps are less expensive. There are both automatic and manual pumps. Manual pumps are less convenient as they require constant monitoring. Obviously, if the occupants of the home are away frequently, a manual unit might not be the best choice. Before repairing or replacing pumps, it is quite pertinent to know the functioning basics of these units. It is always recommended to arm oneself with this knowledge before attempting to repair or replace one of these devices. Due to their nature, there are a number of things that can go awry with these work horses. Here are a few that you might encounter. From a mechanical point of view, malfunctions may occur in the check valve, the impeller, and other moving parts. It is important to understand the exact location and type of disorder before replacing any component. The switch/float may malfunction. These pumps incorporate a float-actuated switch. The purpose is to turn the pump on when water reaches a predetermined level. A switch problem may be indicated when the pump doesnt turn on, or that refuses to shut down. Some units use float switch which uses a hollow ball. Others use a float switch of solid lightweight foam. The solid ones are generally more reliable. A clogged intake is a common problem when periodic cleaning has been neglected. Things like dirt, sediment, and debris are likely to collect in an open sump pit. In the photo at the top of this article you can see the intake on the bottom of the unit. When this occurs, the suction generated by the pump will logically draw this debris towards the pumps intake. This will eventually cause the intake to clog. Logically, the water level rises. The main issue is that the machine is in imminent danger of burning out because it will keep operating, trying in vain to do its job. The unit can be overwhelmed by water. If the water is coming in faster than it can be removed, the unit may over-work and burn out. One good solution is to install a back-up pump that kicks in when the primary needs help. The discharge line can freeze. In very cold climates, although the inside water may somewhat protected, it can freeze on the discharge side. The power may go out. Electricity supply to the home may be interrupted during winter storms, lightning strikes, or with any number of issues on the generation side. If you dont have a back-up generator, its a good idea to have a battery back-up. Before working on or removing any part of the pump, it is very important to unplug the pump or turn it off at the breaker box if is hard-wired to avoid any type of accidents or injuries. Use safety gloves to cover your hands. First, it is essential to remove the pump from the pit of the sump. Then, remove the flexible pipe and the check valve. Disconnect all the devices which are attached to the pump. Allow the pump to drain for a few minutes. If you are simply replacing the unit, remove and save all serviceable pipe fittings so that they can be reattached to the new pump easily and quickly. For repairs, the pump can be taken to the local repair shop or home improvement center where professional assistance can be obtained to replace the necessary components. The removed pipes and hoses can be reattached in the same way on the new pumps. Some of the pumps are self-priming pumps which require water in the casing for functionality. Place the new pump in the pit and power up the pump. Fill the sump pit with water to check the power of the pumps. There are different models of pumps available which may vary according to the horsepower, back up systems, cord length, pump pressure, and the warranty period. The horsepower required for your units can be determined by the frequency of the floods in the basement. As mentioned above, some pumps have rechargeable back-up batteries which are quite useful during power outages. Alarm systems are also installed in some of these pumps to warn if the pumps have malfunctioned during floods.